Are you an HSV-positive single tired of keeping your condition a secret while searching for a soul mate date after date? Well, your troubles are over thanks to websites like Private Herpes Dating. This online dating website specializes in bringing together people with herpes simplex and it does a really fine job. When we first logged into this website to check it out so that we could write this Private Herpes Dating review, we noticed one thing – it’s very simple and practical. There are no unnecessary distractions – just profiles and basic features you need for meeting people online. It’s obviously made by people who are pretty serious about helping HSV folks find love and friendship. It’s one of those websites that, when you first stumble upon them, instantly draw you in and invite you to not only explore other people’s profiles but also to become a member yourself. Visually, Private Herpes Dating is pretty stripped-down, almost minimalistic. There are no visual cues that would suggest it’s an HSV dating site, but then again, what kind of cues would those be? How do you represent herpes visually? It’s definitely a good thing the designers decided to go with a neutral violet/lilac color theme and use imagery and symbols that are universal for any kind of dating website. Private Herpes Dating is not one of those old-timey looking websites either; its style is actually quite contemporary. It’s just that there isn’t any clutter or unnecessary details, which is, honestly, quite a good thing. That kind of smart minimalistic approach to design seems to have translated to the website’s functionality too. Since there are no unnecessary details, add-ons, illustrations, and graphics that would slow the website down, everything runs smoothly and effortlessly. There aren’t too many crazy features either, but those that do exist all work great, from signing up, through browsing and searching to messaging and chatting. Creating an account and a profile is incredibly easy and the entire user experience is definitely a positive one. As you will see from this Private Herpes Dating review, this website has everything you need for successful online dating, especially in terms of features. There are some major online dating websites that have loads of terrific features but this is a much smaller site. On top of that, it’s a niche dating website for specific users – singles with herpes – so it makes sense it doesn’t offer a great variety of crazy features. Still, like we said, it definitely has everything you could need. And sometimes less is more. When you sign up for an account, you will be asked to provide some basic personal info, which will be used as a basis for your profile. Afterward, you will be encouraged to fill in as many details as possible since people with more detailed profiles are more likely to find the best possible match. You can upload profile photos, of course, and there is also a video gallery where you can upload videos of yourself or anything else you like. This is a nice touch since not many dating websites offer the video option. Another interesting option is ‘flirts,’ which you can send to anyone you want. Flirts are a cute little way of expressing your interest without coming off as too pushy or direct. There is, expectedly, the e-mailing feature, with a nice big inbox where you can easily manage your e-mails. Bear in mind that this feature is reserved for premium users. Those with a free account can only upload pictures, browse and search and send/receive flirts, which is why most people opt for a premium account. Private Herpes Dating has a truly warm, welcoming, and open-minded community of members. Being all in the same boat, members of this website are very compassionate and they never judge. There is a lot of great, funny, and attractive people on Private Herpes Dating and most of them are very active. The site is vibrant and buzzing – even in the middle of the night, you will find plenty of online users to chat with. There may be slightly more females than males on this website, but the difference isn’t that big, so it’s not something that should worry you. Most users are from the United States, but there are a lot of them from other parts of the world. After all, herpes is not limited to America only. 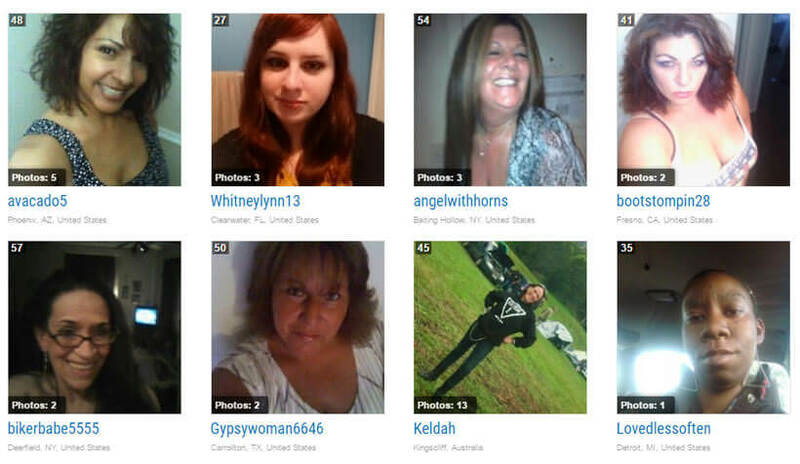 We were very pleased to find there are only a few obviously fake profiles on Private Herpes Dating. Considering all the upsides of this website – great functionality, solid features, and a terrific community of users, it makes sense that Private Herpes Dating made it to our list of Top 10 HSV dating websites. If you are single and have HSV, we think this might be the right place for you. I cant believe I found a place where I can meet girls that dont mind the fact I have herpes. It is such a relief not having to think about how to break the news to my dates. Private Herpes Dating is the best thing that has happened to me in the last 10 years! I have used dating websites in the past, but Private Herpes Dating is the absolute best I have ever seen. The girls are hot, it is easy to get to know people and what is best – everyone has herpes!